As a Leadership and Mindset specialist Tanja dedicates her time and energy to empowering real estate leaders, teams and property professionals to grow themselves and their business in the least amount of time. After having less than impressive experiences with real estate agents, back in November 2014 when looking to sell her family home, Tanja decided to niche her peak performance coaching business into the real estate industry, with the aim to elevate the rapport building skills of agents and the leadership within brands. Within two months of starting her business Tanja began running training programs and workshops for hundreds of leading brands and people around the country. In all honesty, Tanja’s spent months researching the biggest problems leaders were experiencing and was selling programs that didn’t exist at the time. She simply built them along the way and was humbled and honoured to receive extraordinary feedback and referrals by many business owners and teams who were saying she was a ‘breath of fresh air who was bringing the human element back to a transactional industry’. In 2017, Tanja was recognised as an INDUSTRY INFLUENCER by Elite Agent Magazine and in her fourth year Tanja was honoured to be a finalist for the 2018 Real Estate Business (REB) Awards as INDUSTRY INFLUENCER OF THE YEAR in 2018. This was largely due to completing a first of its kind international research project called The Real eSTATE of Leadership, in partnership with Core Logic. A 44 page full report of findings and executive summary can be downloaded from her website www.tmjcoaching.com.au. The insights and information from this revealing project are quite alarming and is influencing many of the National Real Estate Institutes training programs around the country. It has also become a key point of interest and influence for many key leaders of influence across many high profile brands. Tanja’s research found that 76% of real estate businesses in Australia and New Zealand were either making marginal growth (less than 10%), flat lining or declining in their annual performance. This revealed, at the time of the research, that only 24% of real estate businesses were actually making any money. This figure is less now. Tanja discovered that the differentiator between the two statistics was leadership. The insights of the project inspired Tanja to create and launch INSPIRING GREATNESS – a two-day empowered leadership summit that is reverse engineered to address the massive leadership gaps within the industry. Tanja launched this training in 2018 in Melbourne, Sydney and Adelaide with her strategic partners which include Realestate.com.au, Core Logic, REB, Agentbox, Realm, REINSW, REISA and many more. Well known franchises are now engaging Tanja to facilitate the 2-day training as part of their leadership curriculum for existing and emerging leaders. In 2016 Tanja also founded Real Women in Real Estate – a platform for women in real estate and property to come together through interactive events with the aim to connect, communicate and contribute to one another. It was also designed to raise the profile of women in a male dominated industry, unearth new women in leaders and groom women to speak at industry events that were often dominated by the male point of view.This initiative now sees thousands of women globally coming together for regular events, mentoring programs and international study groups. This movement is now headed up by one of Tanja’s peers, clients and cherished friends, Leanne Pilkington, Managing Director of Laing + Simmons and the current President of REINSW. Key Women of Influence in each state of Australia are currently building the network for women who are committed to rising and thriving in all areas of their life. Tanja consistently travels around the country speaking at industry events, facilitating training programs, workshops and coaching her leading one on one clients both nationally and internationally. Many of her clients are multi award winning operators and a few are recognised in the Top 5 of real estate leaders and agents in the country, according to the REB Top 100. 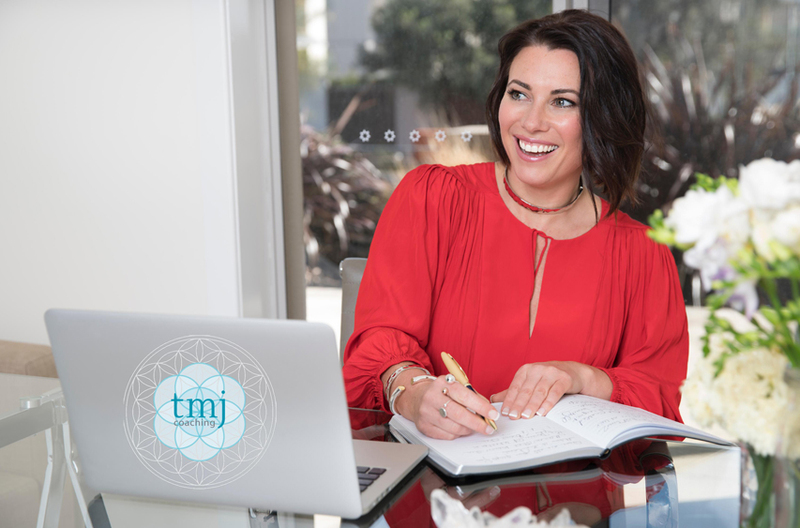 Tanja is a regular contributor to industry publications and the producer / presenter of MINDSET MASTERY MONDAY and RAPID FIRE FRIDAY, free weekly peak performance coaching LIVE videos on Facebook and Instagram, dedicated to elevating the state of real estate professionals. Obsessed with learning about the fulfillment of human potential, Tanja is an NLP Master Practitioner and Trainer. Her ‘big game’ is to inspire and empower real estate leaders and teams to live happy and deeply fulfilling lives all whilst building trust and transparency within the communities they have the privilege to serve. An adventurous spirit who has jumped out of planes, snorkeled with giant turtles, danced with Ricky Martin and meditated inside the Kings Chambers of the great pyramid in Giza in Egypt. Tanja brings over 26 years’ experience having worked with some of Australia’s biggest brands across the corporate, private, retail and government sectors, growing $80 million dollar businesses through the leadership of up to 400 people. A mother of two teenage daughters, Tanja resides on the Mornington Peninsula in Victoria with her husband of twenty years and their two dogs. She sees herself as a perfectly. imperfect, consistent work in progress in service of the fulfilment of human potential and is committed to transform the way consumers experience the sale, purchase, management and leasing of their biggest asset.